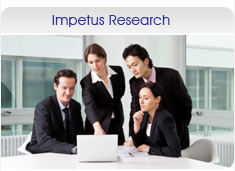 Impetus Research is a full service marketing research agency providing Research and Support Services to companies ranging from boutique research agencies to large consulting firms, globally. Our service offerings include multi mode Data Collection (both quantitative and qualitative techniques), Survey Programming and Hosting, Data Processing & Analytics, Translation & Transcription et.al. We are committed to providing quality services to all our clients. Our endeavour is to be accepted as a trusted and preferred partner by our clients. We at Impetus Research always strive to adopt consultative approach on the projects undertaken by us, implement new thoughts and fresh ideas enabling us deliver better results every time. Since our inception we have been helping a large number of clients in arriving at critical marketing decisions. We pride ourselves on our ability to respond quickly to client needs in defining the markets, demand estimation, branding, pricing, new product development & entry strategies, marketing and distribution strategies. Our clients come back to us for our total commitment to timeliness, high quality and innovative research & systems, integrity and flexibility of our overall collaborative approach. A Leading Marketing Research Company in India. All Rights Reserved.